Rely on Agar’s range of specialised carpet cleaning products to produce a brilliant clean every time. Your clients will be impressed with the results and you’ll be happy knowing how easy they were to produce. 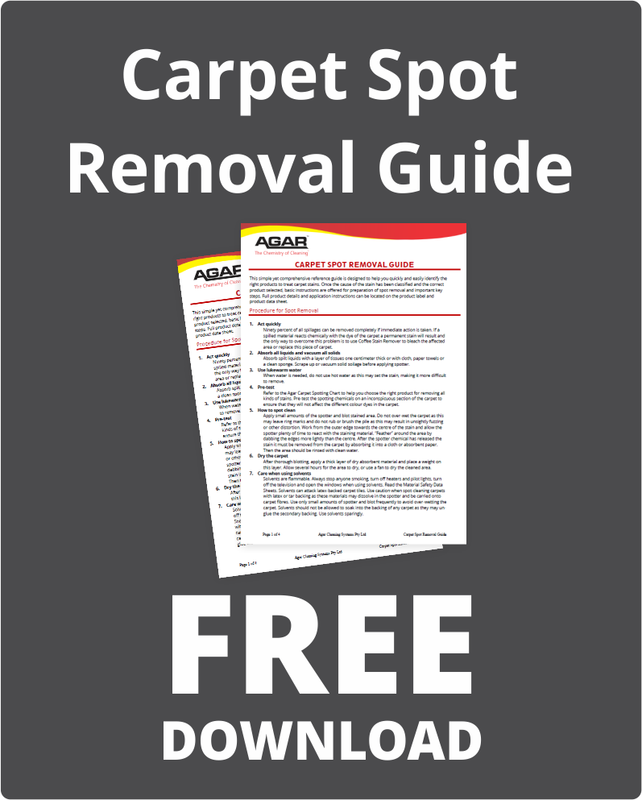 Whether you’re a carpet cleaning professional or just do the odd spot clean, Agar has the products and the know-how to help. With 50 years experience manufacturing cleaning products, our extensive product knowledge has helped us create some of the most reliable and easy to work with products in the industry.